It's time for another edition of Phillies Talk Podcast, talking about the latest news surrounding the Phillies baseball team on the longest running independent show that talks Phils baseball. 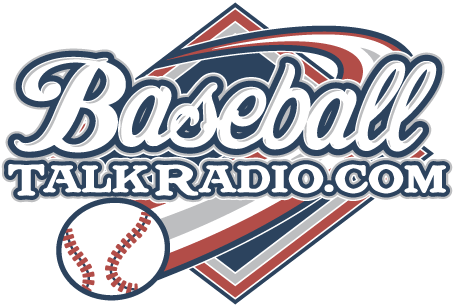 Join Rich Baxter on this edition as the subjects are: Cyber Monday deals for Phillies gear Hot Stove Phillies Talk Phillies Home Run records in each month as a team and high for player in that month all of this and more! 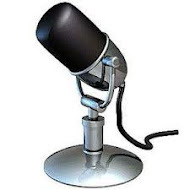 Stay tuned for the new Phillies Talk Podcast Youtube Channel, coming soon and of course a whole lot of shows in the offseason. Mike Trout enjoying an Eagles game in Philadelphia. Could this be the start of a long affair with the city of Philadelphia and the Phillies? There was talk yesterday on MLB Network and it mentioned the marketability of Mike Trout. There were pros and cons talked about the path that Mike Trout may want to take if he gets frustrated with the finishing place of the Anaheim Angels, like they finished this year. Yes, Trout signed a whopping $144.5M extension to stay with the Angels for 6 years which runs through 2020. Plenty of reasons were thrown around where Angels management probably would never make a decision to want to trade a player like Trout. He's simply the best player in baseball, but the Angels haven't gone anywhere because of this. One real strong indicator that baseball is a team sport, it takes a lot more than one player to make a good team. I think the Angels could someday want to test the waters to see what they could get. The bulk of his contract comes due in the years following 2017. Matt Klentak used to get with the Angels organization, he knows Mike Trout personally, and that could be some sort of blue chip that the Phillies may hold. Another reason the Phillies have an edge is that Trout is from South Jersey, he could be close to his home for most of the baseball season. Of course with the millions that he'll make this season, anywhere could feel like home, and very comfortable at that for him. His roots though are in South Jersey. Trout holds the keys to his future in regards to trades, he has a full 'no trade' contract. He must approve any trade, and if and when that day comes, it may be tough for him to make a decision. As he gets older, he may want to start be on a winning team. He may stay in that 'small market' bubble. We've seem plenty of good players stay in that mode, and quietly go home when it comes time for playoffs. He'll probably want to play out the contract with Anaheim, taking him another 4 seasons down the road. Just think though at the contract he would have gotten after this year, he would have been a free agent and with the kind of money that was thrown at Giancarlo Stanton, $325M for 13 years, the money for Trout would have possibly been more per season. Of course there are a lot of teams that would rush to get the services of a Mike Trout, he's a player that doesn't seem all impressed by teams that would throw money at him, but for now that dream of landing Trout is just that, a dream. A lot of the Phillies moves up to this point have made sense for the team. Have the aging veterans that were an important piece of the Phillies past success leave the team to pave the way for the next wave of success for the team. One by one we bid goodbye to important pieces of the 2008 World Series victory. Cole Hamels, Jimmy Rollins, Chase Utley, Ryan Howard, Chooch, all gone now and the team got a lot younger in the process. We needed something to build on in 2017, but so far all we have to show for the hot stove is the pickup with Howie Kendrick who himself is an aging veteran that just happened to have a really bad year last year, and we've offered a $17.5M contract to a pitcher who we liked, but really only wanted to offer him that huge one year deal on the premise that he would refuse it and go to free agency. Jeremy Hellickson wanted to test the waters of free agency. He couldn't lose in this scenario. The Phillies offer him a huge chunk of change to stay with the team for 1 season, meanwhile he can get his 'super agent', Scott Boras, to find him a new team for a multi-year deal. Well, no team was real interested in Hellickson for a multi-year deal, so he keeps the Phillies overpayment for 2017. Somehow that doesn't seem right, how can the player lose in that situation? The Phillies should get a 20-30 percent discount off the original offer. A post in the baseball website, Fangraphs.com, says that Hellickson didn't really improve all that much last year. How does a mediocre pitcher command such a high salary of $17.5M? Up to this point in his career, Hellickson hadn't even earned $17M in his total career salary. I know it's free agent baseball, but this is kind of ridiculous and the fact that no other team was willing to pay for mediocrity for a multi-year deal is proof of that. Matt Klentak, Phillies GM, said he was happy either way. If Hellickson stayed and took the huge one-year deal from the Phils, or he left and the Phils got a draft pick for him. That doesn't sound like a strategist to me, and this last two weeks in the Phillies off-season feels like they have taken a couple steps back in the rebuild process. The Phillies finally made a hot stove move yesterday, and what they came up with is an aged outfielder who earned $10M last year with the Dodgers and didn't deliver much in return for it. Howie Kendrick is now a Phillie, he'll be patrolling out in the field for the team in 2017 or he may be in the infield. What the Phillies gave up for Kendrick is quite a bit. The Phils traded Darnell Sweeney and Darin Ruf to the LA Dodgers in the deal. Sweeney looked like he had a lot of promise with the Phillies. He is young, and he had a very good swing, hitting 3 HR and driving in 11 RBI in his brief stint with the Phillies. Sweeney was drafted by the Dodgers in 2012, but found his way to the Phillies and now back to the team that originally paved his path to the big leagues. Darin Ruf is another player that is an example of how the Phillies really messed up a career of a ballplayer by keeping him in the minors too long. Is this the kind of moves that the Phillies management feel that are really upgrading this team? Matt Klentak used to be an assistant GM with the Angels prior to getting the GM job with the Phillies, so he is familiar with Kendrick as Howie played there from the age of 23 to 30. All in all, I think I'd have rather seen Sweeney have a chance at left field, the few times we saw him, he looked like he had a whole lot of potential. Awards season is upon us, to be announced on MLB Network! Starting next Monday, November 14 through Thursday, November 17, BBWAA Awards Week on MLB Network will feature the exclusive live announcements of the winners of each award in the American League and National League by BBWAA secretary-treasurer Jack O’Connell. Hosted by MLB Network’s Greg Amsinger, BBWAA Awards Week will feature live interviews with award finalists, winners and BBWAA members, plus insight from MLB Network’s Sean Casey, Ron Darling, Brian Kenny, Dan O’Dowd, Dan Plesac, Harold Reynolds, Ken Rosenthal, Christopher Russo and Tom Verducci. MLB Network’s offseason programming will provide extensive coverage leading up to and following the daily award announcements, including on Hot Stove, High Heat with Christopher Russo, MLB Now, Intentional Talk and MLB Network’s signature studio show,MLB Tonight. Founded in 1908, the Baseball Writers’ Association of America was established to assist journalists covering Major League Baseball for daily newspapers. Its purpose is to ensure proper working conditions in press boxes and clubhouses, and to ensure its members have access to players and others in the game so members’ reporting can be accurate, fair and complete. Today there are more than 700 active members of the BBWAA working for newspapers, magazines and major web sites. Just after the season ended, I was thinking it could be good to have Jeremy Hellickson around for at least another year on this Phillies rotation. In the past week or so, my thoughts about that have changed. Hellickson, who is represented by Scott Boras, should be allowed to pursue his free agent dreams and land somewhere else. The thought of even offering him a deal for one year and $17M is just absurd, he's not that good of a pitcher. That's a lot of money, I'd rather see the team spend that money in other ways on a decent outfielder. How did it happen when a pitcher is just a .500 type of pitcher qualify for all of this money? Hellickson is 61-58 over 7 full seasons. That's hardly the type of numbers that should be getting you all those millions of dollars to pitch. Hellickson had 4 games in which the Phillies scored only 1 run for him this past season, a lot of the other games though, they scored plenty when he was on the mound. At the least he should have won about 16 or more games on this Phillies team, but he didn't. He went out there and was giving up 4, 5, and more runs per game a lot of times. He ended up with a 3.71 ERA on the year. Those kind of numbers aren't magical. Boras seems to think his clients are the best to ever play the game, let them go elsewhere and have another team shell out a lot of money and not get that much back in return for it. The Phils are in a tough spot though, they wouldn't get anything for him if they just let him walk, at least if they offered him the $17M and he refused, they would be getting a draft pick for him. Is he worth $17M for one season, not in my opinion.